respectively. Orlando met Marie Gbaryou at the Youth For Christ Center in Buchanan and became friends for two years. They were married on January 5, 1986 and God has blessed them with six children: Prince, Vera, Orlando, Trokon, Mardorie and Joshua. He attended the African Bible College in Yekepa, Liberia, but could not complete his study due to the Liberian civil war. While a student at the African Bible College, he received a call from the Mount Nimba Baptist and served as assistant pastor in 1995. His family escaped the ongoing fighting in the northern part of Liberia to the Ivory Coast. In the Ivory Coast, Orlando served as associate pastor of the Goodwill Baptist Church that reached out to many Liberian refugees. 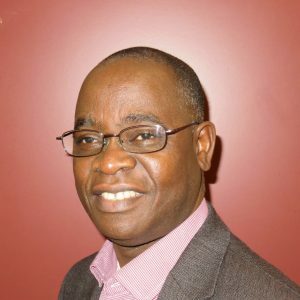 Orlando and his family moved to Jos, Plateau State, Nigeria and attended the ECWA Theological Seminary, graduated in 1998 with a Bachelor of Arts in Theology (BATh), majoring in Missions & church planting. He assisted as student pastor, in serving a vacancy of the Faringada ECWA Church, and also served as the Director of Student Spiritual Development at the seminary. When his family returned from Nigeria to Liberia upon completing his study he planted and pastured the Koinonia Baptist Church in Paynesville, Monrovia. He became the national director of the Concerned Christian Mission (CCM), an indigenous mission agency that mobilized local churches for church planting among the least-evangelized people groups in Liberia and neighboring countries. Orlando was privileged to serve as a participant in the international leadership convention for the development of national evangelical leaders sponsored by the Haggai Institute, Hawaii, USA in November 2000. Subsequently, the ongoing hostilities between warring factions in Liberia forced the Flahn family to seek refuge in the United States between 2000 & 2003. While in Philadelphia; Orlando met Rev. Arthur Zogar, pastor of the Christ Assembly Lutheran Church who introduced him to the Lutheran Church-Missouri Synod in 2001. He later moved to Maryland and worked with Rev. Pah Suku for a new mission start under the Southeastern District, in the Laurel area. In August 2004, New Hope Lutheran Church was formally established as the mission congregation of Our Savior Lutheran Church. In 2011, Pastor Flahn completed his program at the Ethnic Immigrant Institute of Theology (EIIT), Concordia Seminary, St. Louis leading to ordination in the Lutheran Church –Missouri Synod. He is a prospective student, this Spring, at the Capital Bible Seminary, Lanham, MD for the Master of Divinity program. He was ordained and installed as Assistant Pastor of Our Savior Lutheran Church of Laurel, Maryland on January 15, 2012.